Thank you Vinny and the crew for an outstanding Job. We are very appreciative that everyone worked as vigilant as they did to see it thru! We are very pleased and will recommend you if needed. The trees look great! You all did a wonderful job. We needed our big tree trimmed that was branching over our house. The crew was very knowledgeable about how and where to cut the tree limbs. They were respectful, neat and reasonably priced. I’m so glad I don’t have to worry about our tree causing damage to our home now. We will definitely use them again! 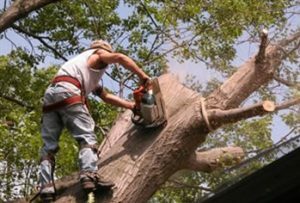 I want to thank you for the quick and clean job that you did at my house when you removed our huge cottonwood tree. You did everything that you promised you would do and for that I am very grateful. I’m so happy that tree is gone! Good job guys! We are very pleased with your men’s skills and work ethics. 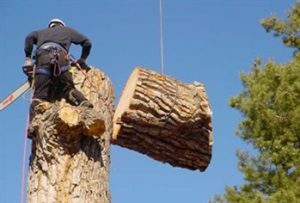 The representative gave us a clear detailed explanation of what his crew was capable of doing and what was going to happen when removing that big ugly stump I have been looking at for years! Thank you very much for being so careful around everything in my yard, I know it was not easy for you to maneuver around. I was more than happy with the professionalism of the work done. Your crew was so courteous, professional and neat!!! I was would definitely recommend or have you again! Please tell your crew that they did an excellent job and we are more than pleased with your service. We will recommend you to all of our friends and neighbors.